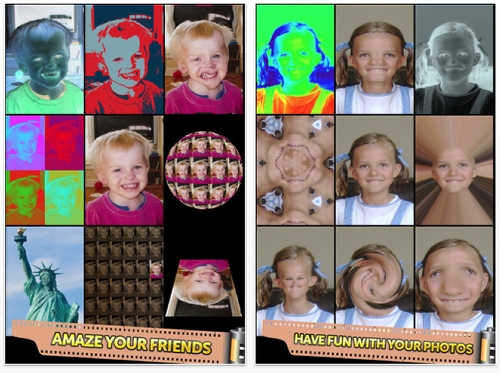 To help users take exciting photographs and videos, Paul Falstad today announces the new Mega Photo Booth app for iPhone and iPad, which features over 50 free effects to twist, morph, pinch, and warp images into outrageous designs. 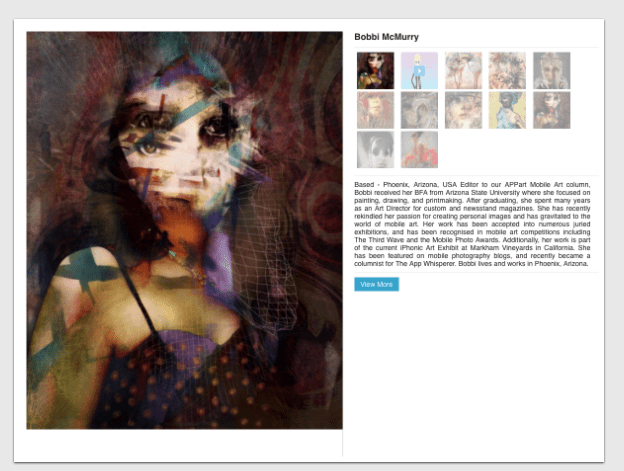 Users can choose their favorite photo effect and see the results in real-time, including spinning their images in 3-D. 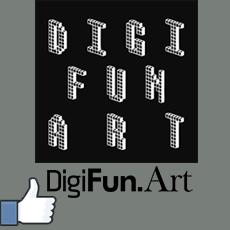 Effects include: tunnel, mosaic, puzzle, hue shift, motion blur, tile, emboss, spinning cube, x-ray, collage, night vision, halftone, light tunnel, and more. "Mega Photo Booth is the most fun you can have with your photos," said Paul Falstad, creator of the app. 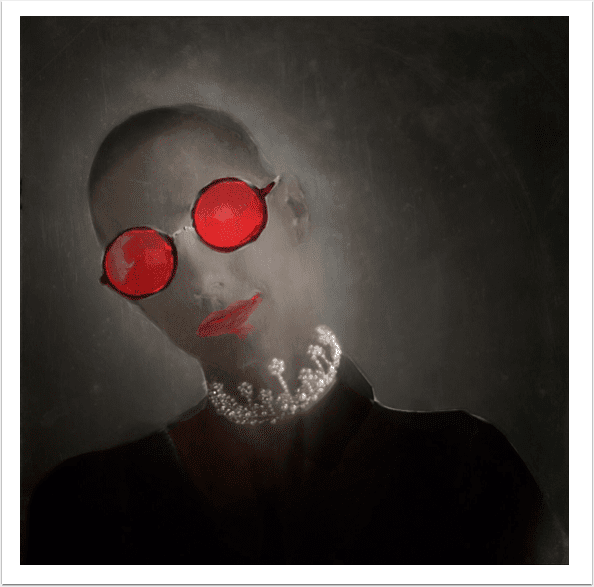 "Create hilarious and amazing images with the wide variety of filters in the app and see them in real time." Mega Photo Booth will transform photos and live videos with unique effects not found in other apps. 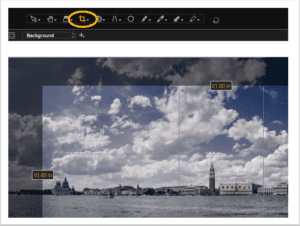 Over 50 free effects are shown in real-time. The user can play a tile puzzle with a live camera feed, go through a wormhole tunnel, view a spinning globe, and more. "Mega Photo Booth makes your pictures as unique as you are," Paul Falstad said. "The incredible effects are sure to amaze and delight your friends." The app can switch from the front to rear facing camera with the touch of a button. Photographers can use the live camera or a still image from their library. 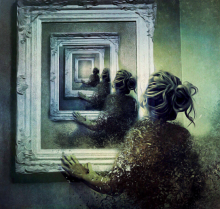 Many of the photo effects are interactive so users can personalize them even before taking a picture or video. Tap and drag, zoom with two fingers, rotate, and more to make it unique. Enterprise developer iber4 today is pleased to announce Save Contacts Email 1.3.3 for iOS devices. 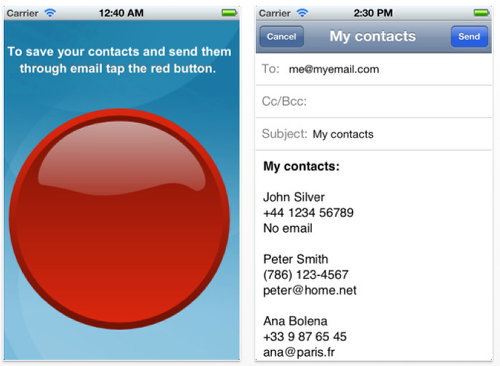 Save Contacts Email is the kind of application that each one of us should carry in our iPhones. This app is capable making really easy the process of backing up all your contact’s phone numbers and emails by sending them to your personal email. With a simple but clever design and by the touch of a single button, Save Contacts Email will create a nicely formatted text containing the information from the iPhone contacts address book. This makes Save Contacts Email the perfect tool for those who need to have a copy of their contacts address book outside of the iTunes environment. Extremely useful if you are traveling, lose your phone, change your iTunes user information, or for many other reasons. "It just works." Looping is one of the most popular ideas in modern pop music, but in the pop context, it generally indicates the use of loops made from prerecorded material, i.e. somebody’s album, movie, or speech. Live looping is a new way to create music which can be used with any style and instrument. The musician creates his/her own background by recording bits of his playing during the music and has them looping as long as he needs them or repeating whenever he calls them back in real-time, using either hardware (magnetic tape, dedicated hardware devices) or software. Remember the Live on stage Dance music shows of 80’s with techno trance or ambient music? Now you can do it all with the power of your iOS device. Be a DJ for your next party with Sonic Loops. With just one or two musicians you can create the sound of a whole orchestra all live. As opposed to a real orchestra or pre-recorded / programmed music, you can follow the way it is created, because all you hear is once the only thing that is played in front of you, all the rest is just the repetition of it. 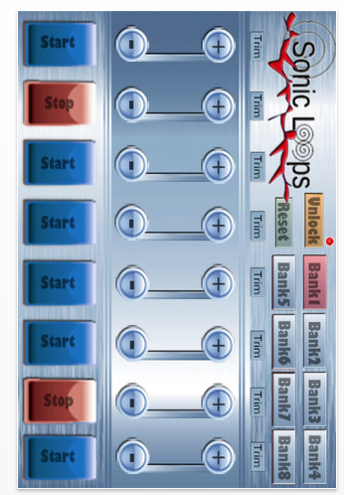 Sonic Loops is an awesome for anyone who loves music, whether you are a musician or music is just your hobby for entertainment. Sonic Loops opens the unlimited possibilities of fresh and unique music created by you on your very own iPhone. Kdan Mobile has announced a significant update for both the iPhone and iPad versions of its high-end business application, PDF Connoisseur. This update includes enhanced Text-to-Speech features, easier cloud access, optimized file rendering speed, enhanced image management, and convenient reference tools. 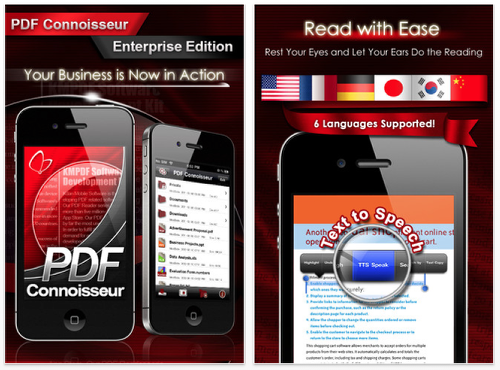 According to the company, the latest versions of PDF Connoisseur have set up a high standard for all iOS business apps. To facilitate mobile working, the developer has integrated iCloud and SugarSync to PDF Connoisseur and redesigned its file access interface to allow multiple account login. This new interface not only quickens file exchange among different parties but also enables its users to experience real-time collaboration on their mobile devices. "We’re certain that PDF Connoisseur is the ultimate solution for mobile business users," said Kenny Su, CEO of Kdan Mobile. He carried on, "It is a powerful blend of features that aim to optimize users’ workflow and productivity." 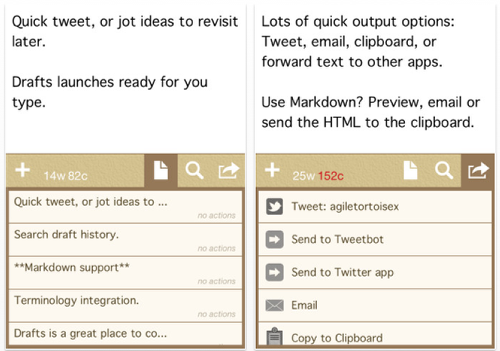 Agile Tortoise today is excited to announce the release of Drafts 1.0 for iPhone, a followup to its top ranked App Store hits Terminology and Phraseology. Drafts is a quick way to capture and share status updates and other short texts on the iPhone and iPod touch. Drafts always launches to a new, ready to edit draft and provides one tap access to Twitter, email and many other output options. Drafts will save an unlimited number of drafts, so it is also a great place to capture ideas and thoughts for later. * Quick Tweet: Drafts opens directly to a ready to edit empty draft. Type a status update, tap on the Twitter account action and it’s posted. Drafts uses iOS’s built-in Twitter support, so no additional configuration is needed. * Save It For Later: Not quite ready to send that update? That’s fine, Drafts will keep it. Throw ideas at Drafts and come back to hone them later. * Write Email: Want to get out a quick email? Launch Drafts, start typing…then send email directly from the app. Even send styled HTML email, using Markdown syntax. * Search: Search the full text of drafts to find the right one. Mother Tucker, LLC today is pleased to announce the release of Speed PRO+ 1.0 for iPhones and iPads. Designed originally for GPS-equipped iPhones and iPads, Speed PRO+ is a universal GPS-based speedometer that gives users a digital view of their current speed, average speed, top speed, distance traveled, elapsed time and altitude and allows them to save their routes. 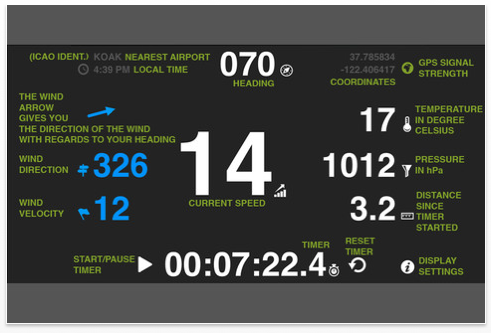 The most significant features are: presenting speedometer information in an easy to read digital format; Saved Routes; Manual and Automatic Pause/Resume; Downloadable altitude readings; Sharing speedometers and routes with friends; and a customizable speedometer interface. Zain Dev today is pleased to announce the release of G memo 1.0 for iOS, their English language social network app that features a new concept in dealing with daily reminders. Ideal for both individual and business use, the app gives user the capability to create reminders, "so called Gs," with time, date and/or location then Send them to other friends. "House wife’s will never have to worry about reminding their husbands again, Sales managers can send multiple reminders to sales team with clients location, secretaries can just send their boss’s ToDo daily to their phones, Options are Limitless" stated Ahmed Abdel Zaher of Zain Dev. At launch in portrait orientation, User is first asked to either login or registers with his name, number, password and picture. After that and in a matter of seconds, The App automatically scans user’s contact list for friends having the App. 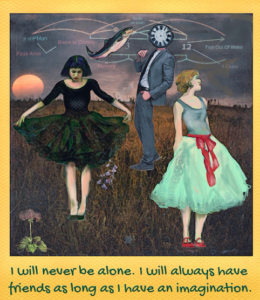 User is then able to create memos ether for himself or to other friends. 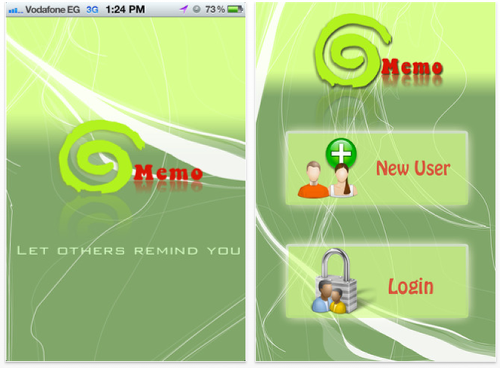 Using G memo is not just about making reminders.. There is a full status and notification system behind it. When someone sends you a memo, You have the option to accept or reject it, Even after that, The app keep user notified of memo’s progress until it is fully executed. Also to heat things up, Users can send "Hidden" memos, were the details of the memo is kept anonymous to receiving part until the time to execute. This is perfect for playing games like ‘find the treasure’ or ‘clue solving’. Order of Magnitude Games today is pleased to announce availability of Mother Lode 1.1, the latest update for its iPad board game. 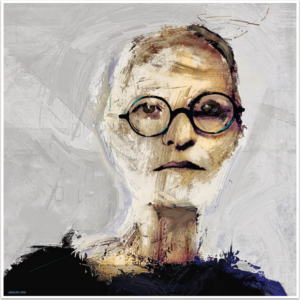 This update adds high-resolution retina graphics for users of the latest model iPad. This is how the game is meant to be played. Crisp, high-res images coupled with super-smooth gameplay that is enabled by the third generation iPad. In addition, this update also brings a number of usability enhancements requested by initial users. These include disabling automatic board zooming, increasing the speed of animations and changing how a player’s secret information is managed. The game is more accessible than ever. Mother Lode is a family style board game for two to four players. 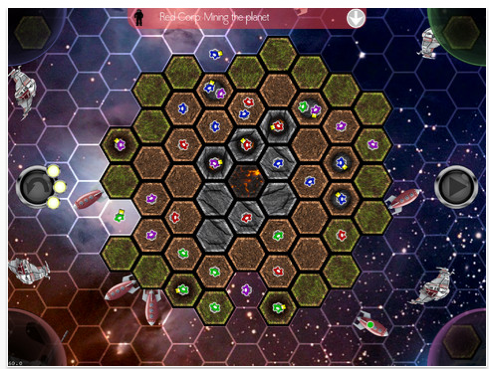 Players control miners on the surface of a dying planet as they try to escape with the most ore. Miner value is hidden until the end of the game. No one knows who will win until the planet explodes and the final score is revealed. Virtualnye Prostranstva LLC today is thrilled to announce the release and immediate availability of an exciting new application 3D Molecules Edit&Drill for iPad. 3D Molecules Edit&Drill is a special Chemistry resource for iPad geared to build 3D molecule models from scratch. With this app users can easily assemble model of any organic or inorganic compound using most of periodic table elements. There are also tool "Rings" which make it easy to build cyclic compounds. The application supports single, double and triple bonds. The model can be visualized in Stick style, Ball and Stick or Spacefill (CPK). At any moment users can get information about bonds length and symbols of chemical elements. 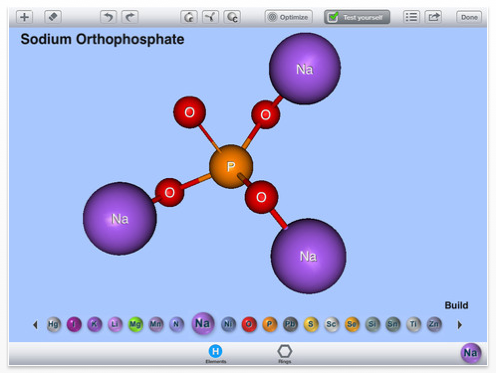 The key feature of 3D Molecules Edit&Drill is "Test yourself" mode allows learners to check their knowledge of chemical compounds and to receive feedback. Learners get a list of organic and inorganic compounds and can build their own models to check how well they learnt the material. Application feedback is very important for learners when learning chemical compounds. When you have finished building your molecule you can either save the model or sent by e-mail. Model can also be opened directly from e-mail. 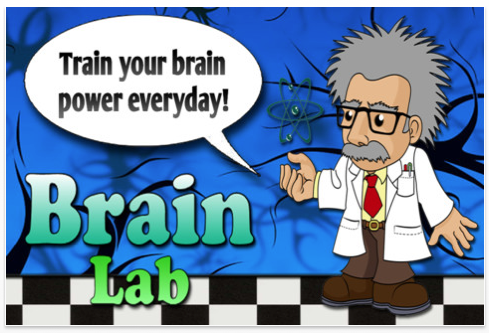 Train your brain power everyday with Brain Lab( Brain Lab is a Brain and Puzzle game like Brain Age that will get everyone addicted. ( Play everyday and improve your short-term memory, your logic, your calculation and your visual skills. ( Brain Lab is also an educational game that is addressed at audiences of all ages. Simple yet addicting app like brain age, Brain Lab tests your brain power based on your game performance on memory, logic, calculation and visual. ( Share your best score on Facebook / Twitter and impress your friends with your Brain Power! Appsware today is pleased to announce SYS Activity Manager 3.0 for iOS, an update to their Utility app that helps identify memory being used on a mobile device, allowing users to free up memory space, monitor 3G and Wi-Fi network speed, optimize battery life, and speed up device performance. The updated version is the only application of its kind in the App Store that supports the new iPad, and it is a Universal app, optimized for display on all iDevices. 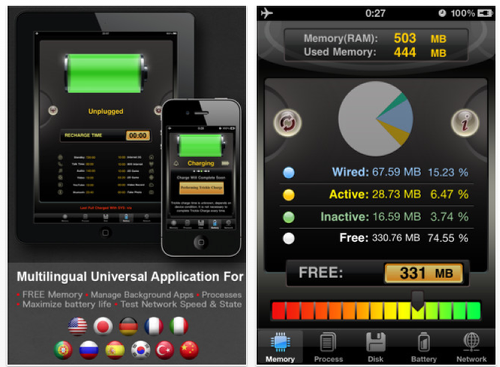 By providing users with information on current memory usage and an auto-stop of unnecessary background applications, SYS Activity Manager will help users extend battery life, test their Wi-Fi/3G networks, and accelerate the performance of their iPhone, iPad touch, or iPad. Owing to their multitasking capabilities, there are cases where applications that appear to have been closed actually may remain running in the background, limiting the performance of an iDevice. SYS Activity Manager locates, displays, and auto-closes these applications, freeing up device memory and enabling a faster running device. SYS Activity Manager can find the memory and battery draining applications that other apps cannot. It generates a graphic and data representation of Wired, Active, Inactive, and Free memory allocation, providing users with a real-time view of the memory status of their device. In addition, the app provides Process details, information on Free and Used disc space, Battery Life status, and Network particulars. With its easy-to-use graphical user interface, the app is intuitive and completely "non-technical." Independent developer Sinisa Drpa has released Boat HUD 1.0, simple-to-use speedometer and weather report application for iPhone. 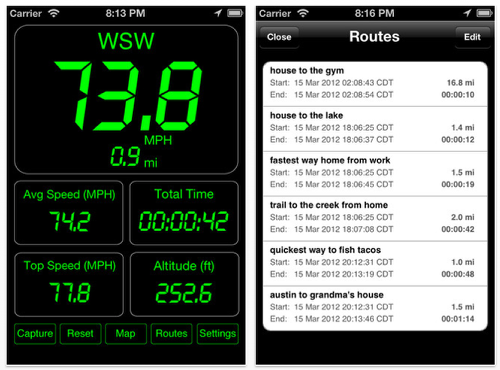 Boat HUD uses the iPhone’s GPS device to accurately calculate speed and user’s location. Based on the location it shows real time observations of temperature, pressuse and wind direction and velocity. To visualize wind impact wind arrow shows the direction of the wind with regards to user’s heading. There are more than a few speedometers for the iPhone out there, but Boat HUD is about simplicity and readability, providing the necessary information about the course, speed, distance and weather. "This was a serendipitous release for us," said MaCai CEO, Alan Lipton. 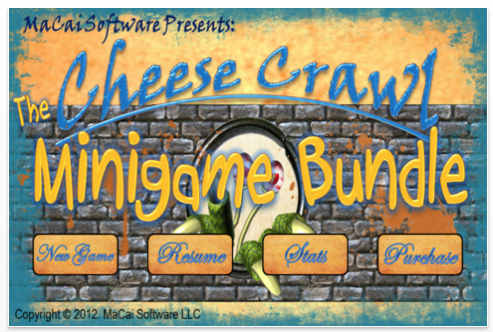 "Early users suggested that they enjoyed some of the Cheese Crawl mini-games outside the context of the adventure. The Minigame Bundle is a way to provide our customers with that simplified experience." BigBig Bomb today is excited to announce the release of StackTrace for iPad. Whether you’re a hobbyist or a professional, our new iPad app provides the ideal experience for exploring the expert community on Stack Overflow, the most popular Q&A site for programmers. 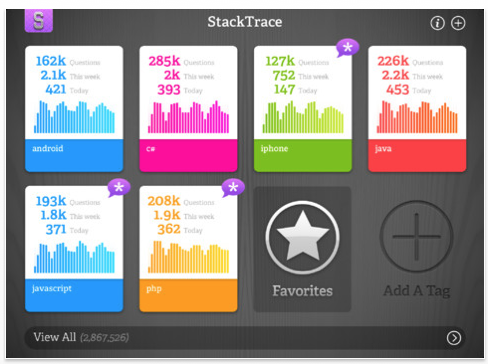 StackTrace is simply the best way to become more knowledgeable about coding and development. Browse almost 3 million programming questions and the community’s most definitive answers. Retina resolution and a user-interface optimized for reading on your iPad’s screen. This is programming knowledge as it was meant to be read. Questions that you mark as favorites can be read offline or saved for later. Don’t have the time when you find it? Favorite it and come back later! 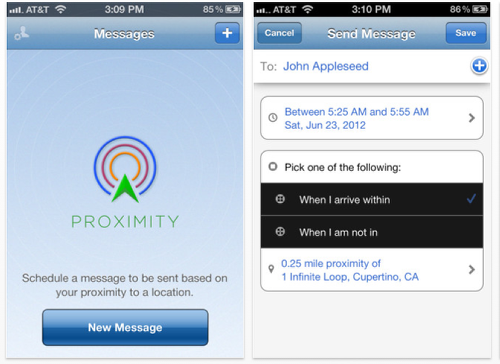 Proximity runs in background; so you can switch to a different app or don’t have to keep your iPhone unlocked for the scheduled messages to trigger. If you want to sell or give away your iPhone, iPad or iPod touch you should definitely wipe all personal data. 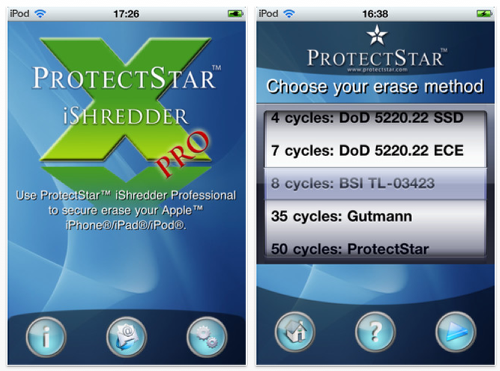 The ProtectStar iShredder Pro will overwrite the free storage space of the device up to 50 times. According to the guidelines of the military and intelligence services this is sufficient to destroy the original information completely. Many Apple fans like to be on the cutting-edge of technology. 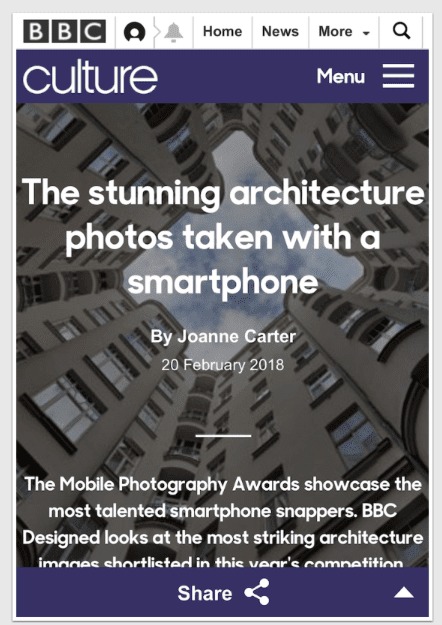 When Apple releases a new model of the iPhone, iPod touch or iPad a great number of users immediately purchase the current all-round hardware in the pocket or briefcase version. What to do with the old model? It is often given away or sold. The problem: even though the devices are small, they often contain a whole life. Personal photos and videos, appointments, addresses, e-mails with sensitive content, internet links as well as private records in apps like Facebook, twitter or stay friends. The hardware should be thoroughly cleaned before it is passed on. Unfortunately it is not sufficient to restore the device to the factory default condition. Although all the apps – except for the system apps – and their data would seem to be ‘deleted’ and no longer appear on the home screen of the Apple devices, they would still be (invisibly) present in the flash memory and can easily be restored by using simple tools. By utilizing the ProtectStar iShredder Pro 1.4 this can be prevented. Originally Farm Mania was released for PC, then after gaining a solid fanbase on this platform it was ported to Mac, iPad and iPhone. The game itself is a classic time-management title in farm setting. Players grow crops, take care of farm animals and upgrade the farm while testing their multitasking skills. 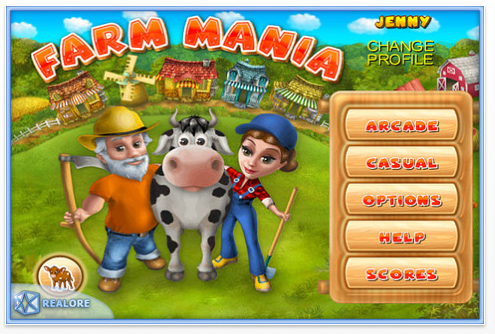 The developers’ attention to detail and a well-balanced gameplay is what makes Farm Mania stand out among other similar titles. The full version includes 60 challenging levels and 12 hidden object mini games, dozens of plants and farm animals. Farm Mania Free features just enough levels to give players a glimpse of what is available in the full version so they could decide whether they are interested in purchasing the game after they get the idea of what it’s like. "Farm Mania on iPhone is a great time-killer. We believe that the players will enjoy their time with this trial version. Farm Mania perfectly fits the iPhone screen. Unlike many other games it does not suffer from the poor quality of the port. On the contrary, the game gets even better when you play it on your iPhone." – said Natalia Matveeva, head of business development at Realore.